I have just spent a very fun hour or so perusing the picks for this year and am pleased to see some of my standard favorites listed and also to discover a few new good finds for future use. Some new discoveries I am sure to find use for are Business & Human Rights Resource Centre as well as Local Harvest and LocalHikes. Some of my favorites that I am happy to see included this year are ePodunk and Purdue Online Writing Lab (OWL). This annual list has been published for 11 years by the Machine-Assisted Reference Section (MARS) of the Reference and User Services Association (RUSA) of the American Library Association — say that five times fast! Visit this link to access the combined index of the selections from the last five years of this valuable project. At what point do we stop investing in a format? My wife and I just bought an HDTV as a spoil-ourselves gift for our five year anniversary. Of course, being a type-A compulsive who needs to take things about one step further than necessary, I started looking for ways to extend our viewing pleasures. While a Blu-ray player would seem to be the next logical step for most, I was a little wary. I decided to head to the local electronics store and ask their opinions on the matter. The employee recommended I buy the PS3, which comes with a Blu-ray. When I asked for any other suggestions, he was ‘hesitant.” While he clarified that there was nothing wrong with Blue-ray players (quality of video and sound was definitely superior to other options) he wasn’t positive that this format was the way to go when upgrading your media. It was an interesting lecture (I hesitate to call it a conversation). Since his answer took well over 10 minutes, I am just going to try to highlight his argument in bullet points. If Blu-ray were to take off it probably would have done so by now. It took audio CDs less than ten years to overtake audio cassettes. One of Samsung’s Executives made a statement that he thinks Blu-ray will be gone in another five years. Not a very optimistic outlook. Netflix has taken off in a seriously big way and that is not really a good thing for DVDs or Blu-rays. It means people may be watching Blue-rays but they are actually buying less. In fact current economic conditions have led more people to renting nowadays. On the topic of increasing rentals, Redbox isn’t helping the situation. Downloadable movies are looking more and more like the next big format. Whether through your cable provider or the Internet, the instant gratification of streaming movies, in HD no less, is a tough thing to compete against for the casual viewer. While not quite ready, many TV manufacturers are looking to include wi-fi connections to their products. There was one other point; something about not having to buy things, possessions being fleeting and sticking it to the man or whatever, but I’ll just skip over that one. While this did nothing in terms of getting a sale from me it was definitely food for thought. The lecture got me thinking about the difficulties of introducing new medias into a library collection. It then got me thinking about old collections; more specifically, when to stop funding the collection. Obviously, changes in formats are nothing new. Even in the relatively short time I have been in the profession, I’ve seen libraries stop buying audio-cassettes, CD-Roms and videotapes. More so, I’ve seen them stop purchasing the paper copies of publications in order to invest in the cheaper online versions. And while I definitely applaud libraries who have decided to invest in Blu-rays I do wonder about how long this media has. While 5 years seems a little short to me, I would not be surprised to see it obsolete within 10. By all means, let me hear it; at what point do we back out from a format? Co-editors (Vibiana Bowman Cvetkovic & Robert J. Lackie) of the book Teaching Generation M: A Handbook for Librarians and Educators (Neal-Schuman Publishers, Inc., 2009) and three of the chapter authors (Katie Elson Anderson, Patricia H. Dawson, and Diane K. Campbell) participated in a panel discussion last night. 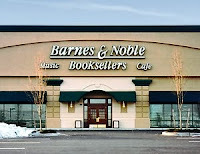 The event, sponsored by the Rutgers University–Camden’s Cappuccino Academy (a series of free public lectures delivered by Rutgers–Camden faculty members) was held at the Barnes & Noble in Marlton, NJ. All five panelists–library faculty members at Rutgers University and Rider University–briefly discussed their findings on this new generational cohort and how technology can and has been enriching the library and classroom experience for them. Lead editor and chapter author Vibiana Bowman Cvetkovic (Rutgers University) began the discussion by welcoming the audience, introducing the panelists, and talking about why she was so interested in co-editing and writing sections of the book, not to mention having her own personal cohort of Gen M students at home. Vibiana also provided some background on the book, which offers advice on everything from teachers joining Facebook to the pitfalls of Google searches. She mentioned that one of the most significant aspects about Gen M is that they are the first generation raised in an era of personal and real-time information sharing and provided some examples. Last but not least, she made available a discount order form for those who might be interested in purchasing a personal copy, or one for their library or school. Note: Library Garden bloggers interviewed Richard Sweeney, who is a recognized expert on understanding and engaging the Millennial Generation, almost three years ago and this post is still available. Robert finished by sharing some of the witty “cultural touchstones that shape the lives of students entering college” found again in this year’s Beloit College Mindset List for the Class of 2013, such as, “Text has always been hyper” and “Everyone has always known what the evening news was before the Evening News came on,” two of the 75 comments on this year’s list. Patricia H. Dawson and Diane K. Campbell (Rider University), who co-authored Chapter 2 in the book, entitled, “Driving Fast to Nowhere on the Information Highway: A Look at Shifting Paradigms of Literacy in the Twenty-First Century,” spoke about emergent issues and challenges we face as librarians and educators while working with Gen M. They provided information comparing different types of literacy (i.e., literacy, computer literacy, and information literacy) and provided a handout/table to the audience members explaining this. They discussed how Gen M struggles with judging information for reliability, validity, accuracy, authority, timeliness, and point of view or bias because so much of the information that Gen M students find online, especially the validity of that information, is much more difficult to assess than within most print sources. They noted that there, unfortunately, are fewer “quality cues” with a lot of online information on the free Web. As I have recently mentioned to many others, I was especially happy to announce the publication of our book on a Library Garden blog post back in July when it first became available in bookstores online (e.g., Amazon and B&N) because several Library Garden (LG) bloggers wrote chapters for the book, including a very recent new team member of LG, John LeMasney of Rider University, who co-wrote our book’s “Introduction: The Myths, Realities, and Practicalities of Working with Gen M.” OK, I know…, this is such shameless self-promotion, but I really am so proud of the LG contributors, in addition to other experts from around North America, whose hard work and diligence shine throughout our book. By the way, here is a free PDF of the table of contents now available, listing all contributors and their chapters. We hope you enjoy reading about the above panel discussion/book talk, as well as the book itself, and we welcome your comments.